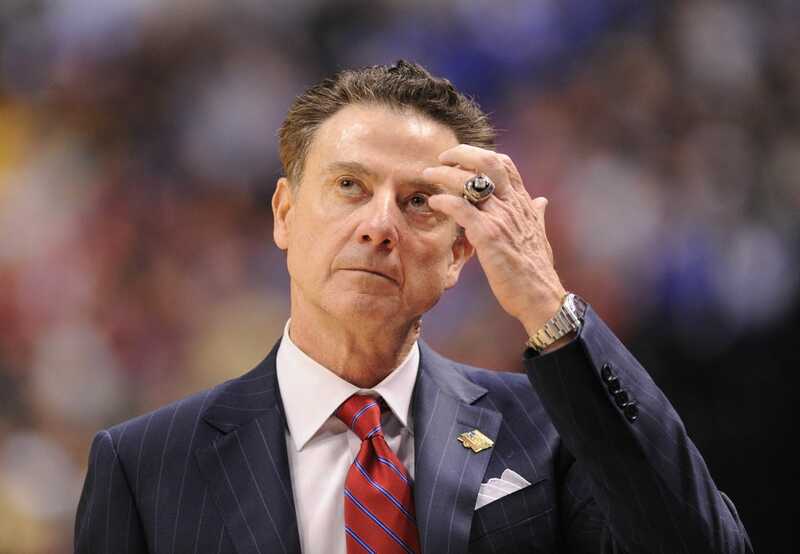 Rick Pitino said his college coaching career is over. Pitino, fired by Louisville in October 2017 in the midst of a federal probe into recruiting violations tied to Adidas, said Wednesday on ESPN's "Get Up" that his time on the sidelines is over. "I'm finished coaching," he told host Mike Greenberg. His book "Pitino: My Story," co-authored a book with Seth Kaufman, released Tuesday. In the book, Pitino wrote "my coaching career is possibly finished." ESPN interviewed Pitino on Tuesday and he said the NCAA already prevented him from getting one job he wanted since being dismissed at Louisville. "There was one job this past year, that I really did want. They called the NCAA and the NCAA said, 'We're handcuffed. The FBI will not allow us to investigate, we can't give you a yes or no on Rick Pitino because we're not allowed to investigate,'" Pitino, who turns 66 this month, said. "I'm not really thinking about coaching again in the future because I'm not in control of that. I feel it's over for me." In a probe of college basketball announced by the FBI last September, the Cardinals were linked to the investigation with allegations that Adidas paid $100,000 to a family member of five-star prospect Brian Bowen, with the goal being getting him to commit to Louisville. Pitino and athletic director Tom Jurich were placed on unpaid administrative leave two days later and fired last October. Pitino blames state government and university sponsors, including Papa John's, for forcing him out without an investigation. He also said college basketball has bigger problems on its hands if shoe and apparel companies remain a key player in the sport. "I believe we are overdue when it comes to figuring out a way to remove sneaker companies' undue influence at the grassroots level," he wrote.